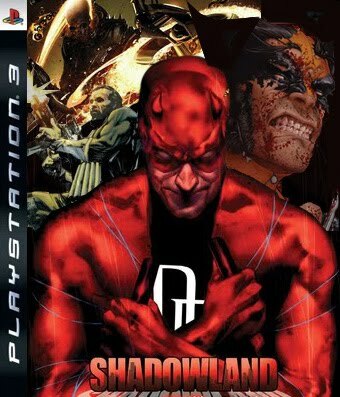 It's A Dan's World: Is Marvel’s 'Shadowland' THE Video Game Waiting to Happen? Is Marvel’s 'Shadowland' THE Video Game Waiting to Happen? For an event with a fairly dark title Shadowland is currently casting a well-deserved spotlight on Daredevil and Marvel's street-level heroes, but is it prepping the well-deserving for something even bigger? With Mortal Kombat a lasting video game legacy, Street Fighter an on-going multi-media smash and Tekken a brand to be reckoned with, the ‘hero vs hero’ comic could easily make the jump to console sensation. Picture it, going three rounds with the signature moves of Ghost Rider or Kingpin, and an 'ally' feature that allows you to call in non-selectable characters when you need them most; Daredevil - Black Widow or Spider-Man - Cloak and Dagger to name just a few of the possibilities. Yip - Shadowland would make for a killer video game, and birth legions of new fans for the likes of Iron Fist and Luke Cage in the process. In fact it's so clear in my mind I knocked up a couple of images to complete the picture. Who would you put in the ring? Thanks IFF! The more I think about it, the more I'd like to see a game where you could fight as The Kingpin!